the world with loved ones. Commemorating life’s special moments is always a wonderful reason to bring your loved ones together. Whether you’re vacationing with Santa in Los Cabos, raising an anniversary toast in a London hotel or gathering your family in a safari lodge, we’ll handle every detail so you can focus on making the most of your time together. Choose from more than 1,000 properties in our exclusive collection and you’ll receive special privileges, including daily breakfast and a special gift such as dining or spa credit. * These benefits are in addition to competitive rates and VIP status on property, ensuring every moment of your vacation is a reason to celebrate. *Complimentary privilege varies by property and may be subject to change. 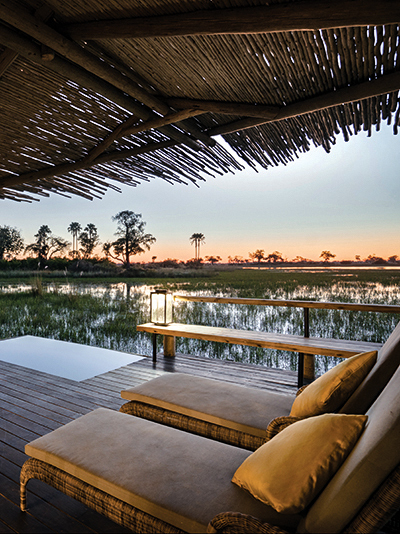 Bring your loved ones on an adventure of a lifetime as you step into Belmond Eagle Island Lodge in the heart of Botswana’s Okavango Delta, a watery paradise from which you’ll witness diverse wildlife on safaris by boat, on foot and aboard a helicopter. Or perhaps you’re bonded by cultural exploration, best satiated in Peru’s dynamic cities or within a stylish hotel in the heart of Bangkok or London. Anywhere your curiosity leads you, we’ll create a vacation that brings you closer together. Belmond Eagle Island Lodge is one of Botswana’s original safari lodges, perched on a private island and encircled by some of the deepest stretches of the Okavango Delta, one of the world’s largest inland water systems and a UNESCO World Heritage site. The all-inclusive lodge is decorated to reflect an explorer’s base. Design highlights in the 12 spacious, deluxe tented rooms include oversized beds with views of the delta, large outdoor decks with a vista, private plunge pools, luxurious bathrooms with large tubs, indoor and outdoor showers, a relaxation and reading nook, and walk-in wardrobes. The lodge offers a variety of water-focused safari activities, including motorboat safaris, barge cruises, safaris by mekoro (a local canoe) and fishing, as well as walking safaris and the ultimate air safari experience by helicopter — a highlight of any guest’s stay! 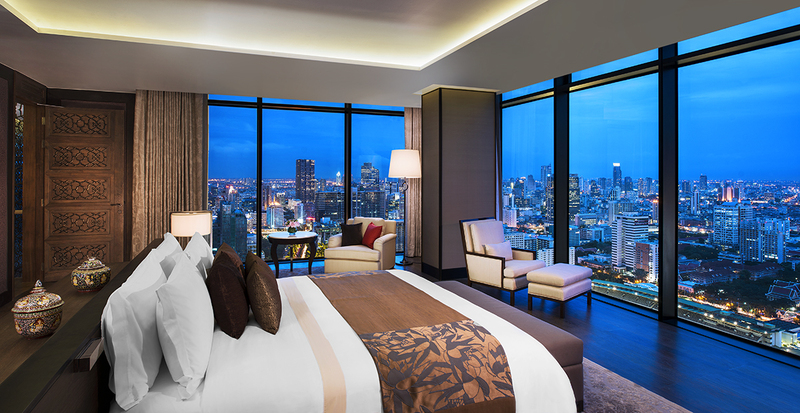 Located in the heart of Bangkok, within walking distance of the city’s vibrant entertainment district and BTS Skytrain connection link to the station, The St. Regis Bangkok invites you to refresh, linger longer and indulge in an atmosphere of music, food and drinks at The St. Regis Bar with the iconic Bangkok cityscape and sunset. 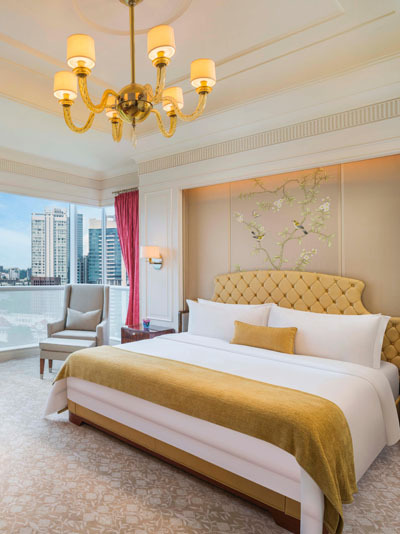 Superbly located in the heart of prestigious downtown, The St. Regis is Singapore’s most eminent address, where unsurpassed luxury resides. A gleaming landmark of exquisite ambiance, the hotel houses one of Asia’s finest private art collections. They perfect the fine art of elegance in 299 luxuriously appointed rooms and suites. Each immaculate detail – crystal chandelier, original art piece or lush designer fabric – is meticulously selected to inspire modern opulence. 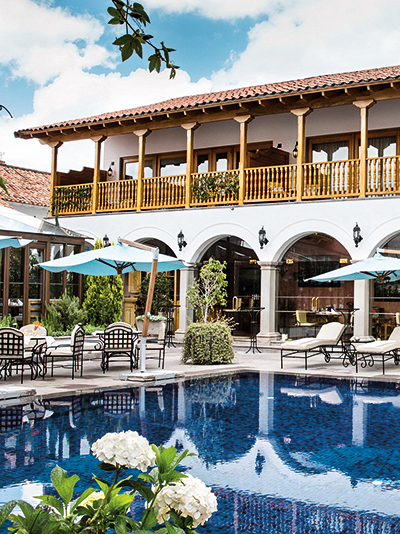 Set in a tranquil plaza behind Cusco’s main square, Belmond Palacio Nazarenas is a restored 17th-century palace and convent, now one of the city’s most exclusive hotels. An irresistible mix of ancient and modern, it blends features such as Inca walls, cloistered terraces and a historic fountain with a state-of-the-art spa, a cutting-edge restaurant and the city’s first outdoor swimming pool. This intimate urban retreat has just 55 suites, all oxygen-enriched and with decor reflecting the authentic charm of the building. Belmond Miraflores Park is set in the fashionable area of Miraflores in Lima. Renowned for its beautiful garden location beside the Pacific Ocean, it has breathtaking views out to sea, yet it’s perfectly placed for exploring the fascinating museums and glamorous shops, bars and restaurants of the Peruvian capital. 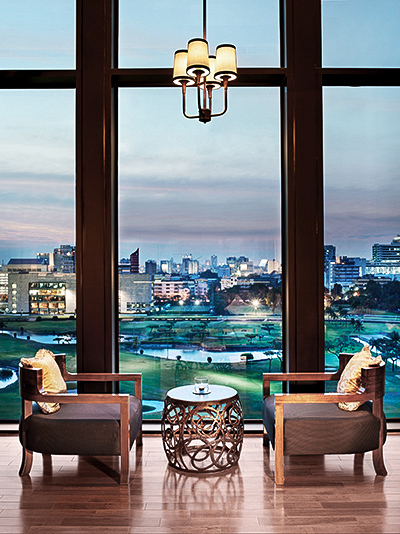 The hotel offers 89 spacious and elegant suites, including Club Suites with exclusive access to an Executive Lounge. Dining options include: The Observatory restaurant for breakfast with stunning ocean views; Tragaluz, serving a wide range of dishes with Asian, Mediterranean and Peruvian touches; and Belo Bar, offering delicious cocktails and snacks. At Zest Spa, exquisite pampering is on the menu with soothing massages and spa treatments to delight the senses. At the center of London’s Mayfair, Claridge’s is an art deco jewel that is the embodiment of grand English style and timeless glamour. For more than a century, it has preserved its unique heritage, adding all the modern flourishes a guest could wish for, bound together by world-renowned service that is impeccable, intuitive and highly tailored, making it the perfect place to celebrate any occasion. 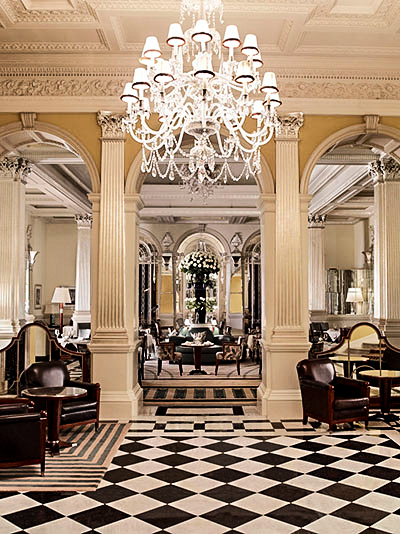 Previously the haunt of famed patrons, from royalty and celebrity to the creative and the notorious, Hotel Café Royal has been an established and iconic landmark on the British capital’s social scene for over a century. In its recent reincarnation as a luxury hotel, Hotel Café Royal remains an established favorite for locals while becoming a global destination. 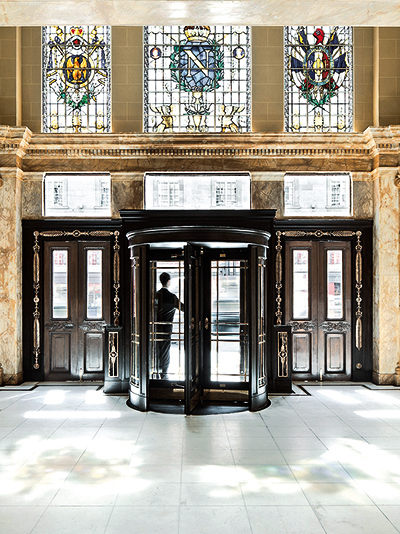 Located in the heart of London, with elegant Mayfair to the west and creative Soho to the east, the hotel is perfectly positioned within walking distance of London’s finest shopping streets, tourist attractions and theaterland. Within the hotel, grand historic areas have been sensitively restored, while 160 guest rooms and suites (including seven signature suites) have been created in a contemporary yet refined style. 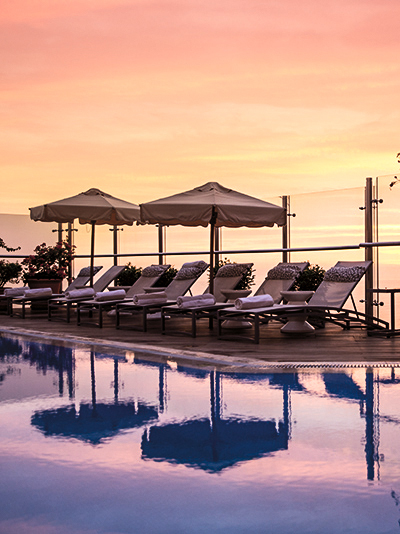 Continuing its celebrated legacy, the hotel offers a selection of restaurants and bars as well as The Club at Café Royal and the Akasha Holistic Well-Being Centre. *Advertised privileges are for travel in 2018. Restrictions and minimum-night stays may apply. Click the Learn More button for details. Escape with the family or just the two of you to a deluxe coastal retreat, where relaxing and playing among sun, sand and surf marks the beginning of your fun-filled vacation. Meet Santa in Southern California at the Ritz-Carlton, Laguna Niguel where high-end holiday shopping is part of your stay, carve out your corner on a private beach enclave at The Miami Beach EDITION or take time for yourself in Los Cabos at the world-class Jack Nicklaus-designed golf course at One&Only Palmilla. Make your holiday wish and we’ll bring it to life! 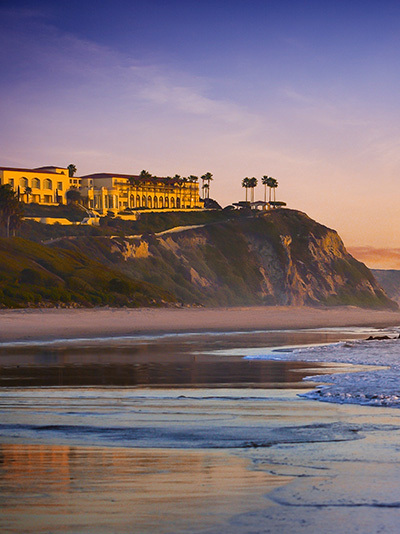 Following a yearlong $40 million renovation, Monarch Beach Resort now introduces guests to a reimagined luxury destination in sun-splashed Southern California. With this dramatic transformation, guests now enjoy an elevated yet approachable experience that includes a Miraval Life in Balance Spa, five new restaurants, an expansive new pool complex and redesigned guest rooms. 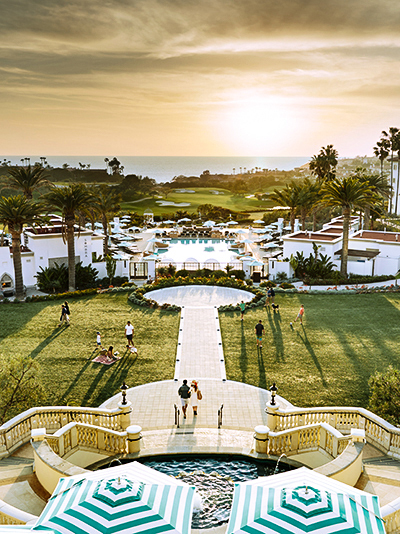 These inspired offerings complement the award-winning Monarch Beach Golf Club, Michael Mina’s Stonehill Tavern, a new Drybar and more. Celebrate the holiday season by soaking up the sun, savoring the views and simply relaxing by the Pacific. The Ritz-Carlton, Laguna Niguel offers holiday experiences, including the Luxury Shopping package, featuring a $100 gift voucher at South Coast Plaza. The resort also showcases seasonal activities. From standing in awe of the gingerbread extravaganza or seeing Santa at the Tree Lighting Celebration, there is something for every member of the family. 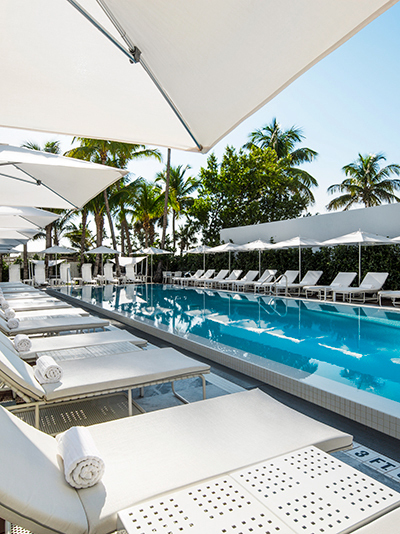 COMO Metropolitan Miami Beach is a 74-room Miami hotel in the heart of the Historic District. The hotel delivers the perfect blend of rest and revelry, urban modernity and art deco charm with light-filled rooms, a COMO Shambhala Urban Escape and leading-edge interiors by Italian designer Paola Navone. 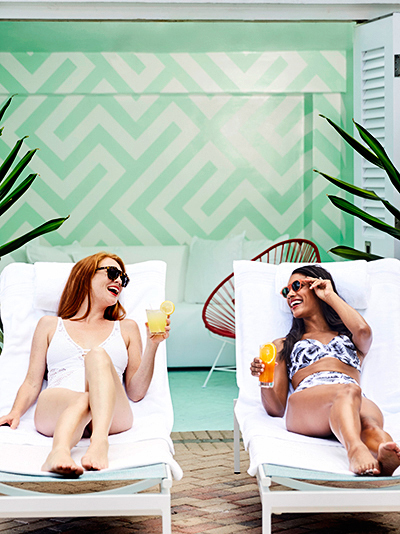 Fresh off a $100 million transformation, The Diplomat Beach Resort brings iconic hospitality back. The Diplomat Beach Resort offers contemporary rooms, a world-class spa, beachfront pools, luxury cabanas and a new Ocean Ambassador’s Kids’ Club. 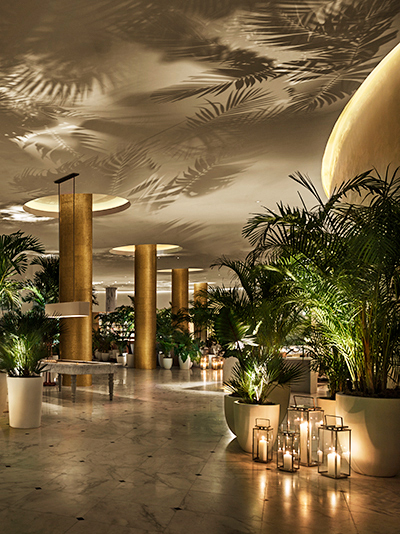 Boldly led by celebrity chefs Geoffrey Zakarian and Michael Schulson, who offer a wide range of remarkable culinary offerings, The Diplomat Beach Resort is a true foodie’s paradise. 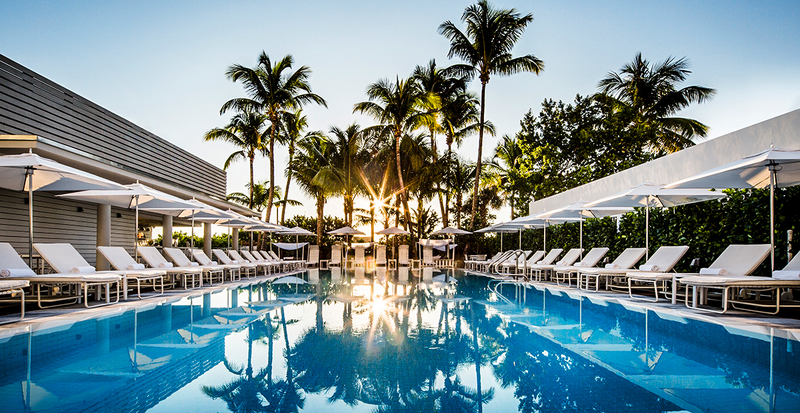 The resort distinguishes itself among Florida’s glimmering beachside destinations — iconic again. The Miami Beach EDITION is a beachfront urban retreat located in the historic heart of Miami Beach on a 3.5-acre private enclave. This modern luxury resort offers 294 spacious and sophisticated accommodations, including bi-level suites with a private plunge pool or a sauna: bowling, ice skating rink, nightclub, signature restaurants by Michelin-starred chef Jean Georges Vongerichten and The Spa. Every thought is given to enhancing a personalized stay. 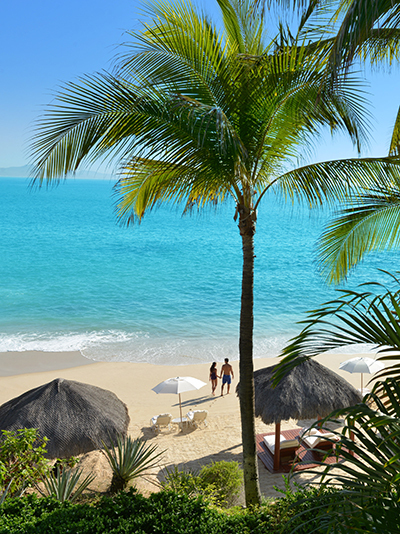 Celebrate Christmas at the Baja Peninsula’s most spectacular new all-inclusive resort! 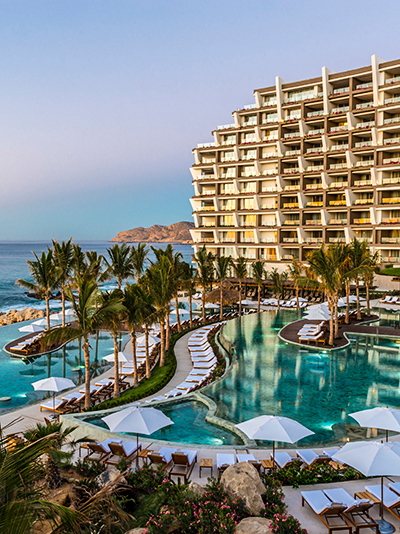 Along with opulent ocean-view suites and extraordinary fine dining, Grand Velas Los Cabos pulls out all the stops to create a spectacular holiday experience. Decorate your own fresh tree in your suite, take the kids to Santa’s Workshop, enjoy festive Mexican Christmas activities and get ready to ring in the new year with an oceanfront celebration you’ll never forget. Idyllically set at the tip of the Baja Peninsula, One&Only Palmilla offers oceanfront rooms and suites and excellent dining options, including SEARED, created in collaboration with Chef Jean-Georges Vongerichten, and a fresh farm-to-table menu at Agua by Larbi. In addition, the resort offers two exceptional four-bedroom villas, an award-winning spa, a state-of-the-art fitness center, a beauty salon and a men’s barber and grooming studio, plus an abundance of activities and excursions, including a 27-hole Jack Nicklaus Signature-designed golf course. 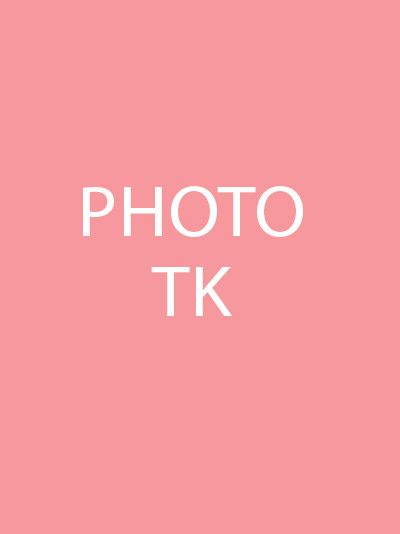 *Advertised privileges vary by year of travel; advertised privileges are for travel in 2018. Restrictions may apply. Click the Learn More button for details. 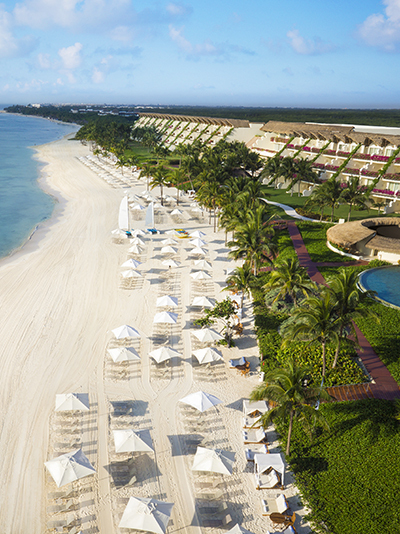 Experience the splendor of the Yucatán at this all-inclusive resort and discover what’s in store for the festive season! Plans are already in the works for an unforgettable Christmas. Enjoy the sparkling lights of your own fresh tree, surprise the kids with our welcome kits and come down to Santa’s Workshop. Enjoy themed shows, Mexican Christmas activities and, to top it all off, an incredible New Year’s Eve Gala Dinner. 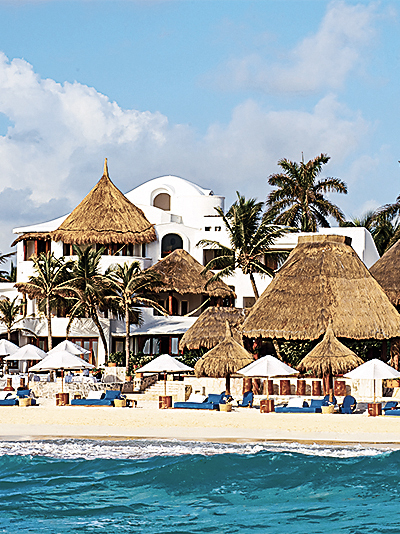 Enveloped by 200 acres of lush wildlife and the shimmering Caribbean Sea, you’ll find Belmond Maroma Resort & Spa an intimate 63-room beachfront resort. Immersed in the sound of the ocean, your stay here is one at peace with nature. There’s so much to enjoy, from romantic serenades for two by the beach to exciting discovery through the cultural heritage of the Riviera Maya. Look forward to celebrating the magic of Christmas at this sublime luxury all-inclusive resort with holiday-themed activities for all ages. 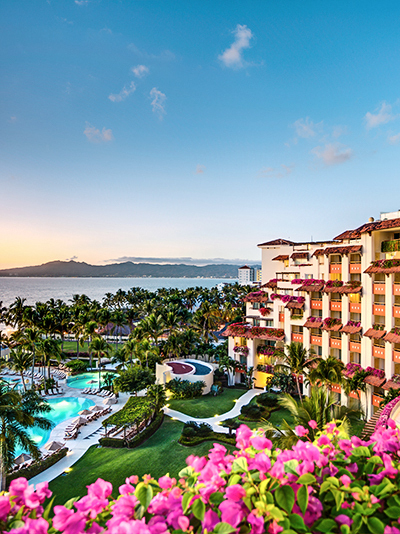 Surprise the family with a Christmas tree in your suite, visit Santa’s Workshop for fun activities, ride the Christmas train and come out to the oceanfront garden for a spectacular New Year’s Eve Gala Dinner — all amidst the sweeping ocean views and glowing sunsets of the Riviera Nayarit. 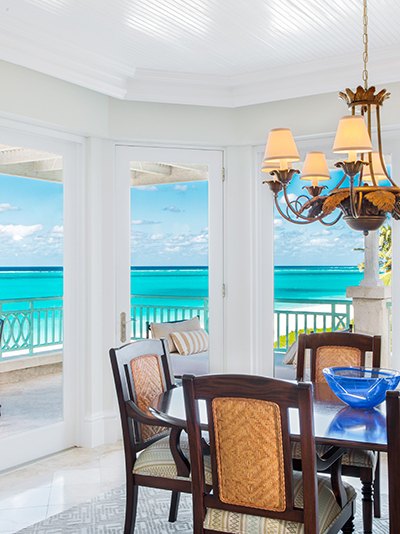 The 72-suite Palms Turks and Caicos is one of the Caribbean’s best-kept secrets. Located on the flawless white sands and sparkling sapphire waters of the Grace Bay Beach, the luxury resort offers maximum pampering and indulgence. Enjoy exceptional luxury and comfort in beautifully appointed suites. Oceanfront, oceanview and gardenview suites feature hand-tufted king bedding, full bath, private balcony/terrace, sitting area, full-size sleeper sofa, high-speed Internet access and cable television. Large, luxurious full-size suites are available with up to three bedrooms, all featuring a full kitchen with Viking appliances and a washer/dryer. Junior suites feature kitchenettes with a garden or resort view only. Amenities include a 25,000-square-foot spa, an infinity pool, a fitness center, non-motorized water sports, tennis and shopping boutiques. A dedicated children’s club provides fun and excitement for younger guests. Vacationing at this beachfront resort is truly a relaxing Caribbean retreat. 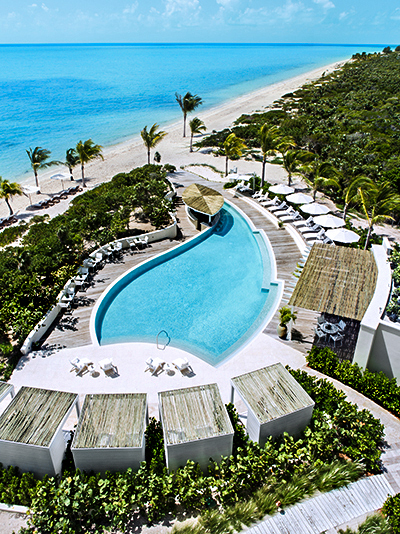 Turks and Caicos is home to Providenciales’ newest resort, The Shore Club on Long Bay Beach, a premier destination for leisure travel, amazing getaways and memorable events. The 106-suite resort embodies a warm and inviting atmosphere enhanced by modern amenities and elegant suites and penthouses. Situated on a lush nine-acre landscape, it features an incredible 820 feet of beachfront and unobstructed views of magnificent Long Bay Beach. The Shore Club’s convenient location is only 10 minutes away from shopping, local restaurants, entertainment and the world-famous Grace Bay Beach, the location of The Palms, and only 15 minutes away from Providenciales International Airport.